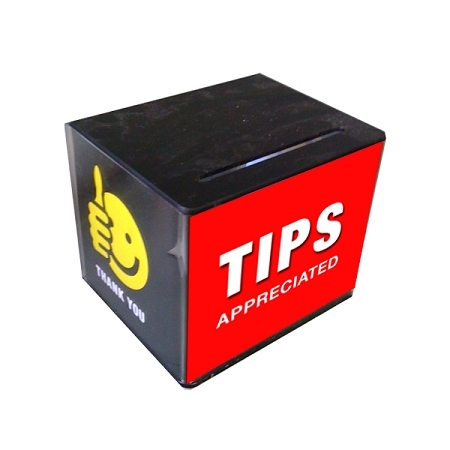 Buy your professional looking tip or money box here!! Wrap around artwork - artwork colors can be altered and replaced. 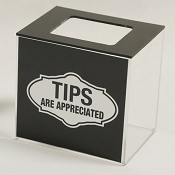 Our Standard Countertop Tip Box also known as a money box is designed to sit on a Bar or Countertop making it easy for customers to place tips inside. 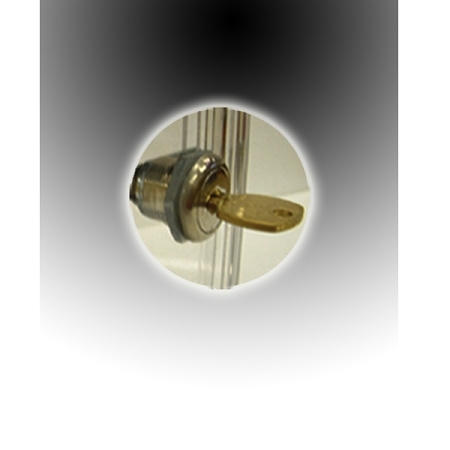 It measures 6"w x5"d x 5.5"h. The large Currency slot is located on the top and a single cam Lock is on the side and secures the contents. 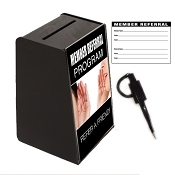 Includes artwork that wrap around inside of collection box. 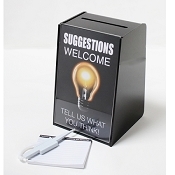 You can choose from two different designs: "Tips Appreciated" or "Donations Appreciated"
Donation or tip box comes with a clear plastic back that you slide into box and lock into place.